It’s important to understand why a gluten intolerant diet matters, because often, the gluten intolerant child doesn’t show obvious signs of allergy or illness which can lead to dietary laziness in the family. Villi, the tiny projections in the small intestine, exist to make the surface area of the intestine bigger so that food can be absorbed. In a person with gluten intolerance, wheat causes the villi to flatten, so the stomach does not work well and various long-term conditions may result. Symptoms include tiredness and lethargy, often seen as ‘laziness’ in a child, regular headaches, nausea without vomiting (often seen as a way to get out of school as it happens after breakfast!) and diarrhoea. In the long term, conditions such as anaemia and osteoporosis can occur, as well as issues of low fertility and problems with pregnancy in later life. At first it can seem frightening to have to cope with cooking for a gluten intolerant child, but actually there are hundreds of foods that are naturally gluten-free to cook with. Fresh meat, fish and poultry; fresh fruit and vegetables; pulses; rice (including rice cakes, rice noodles and vermicelli); potatoes; corn products (including tortillas and corn snacks); eggs; dairy products (but check labels carefully for wheat additives in flavourings and stabilisers); sugars, honey and maple syrup. Of course there are some foods that it can be difficult to master. Pizza crust definitely requires a lot of practice to make well with gluten-free flour! 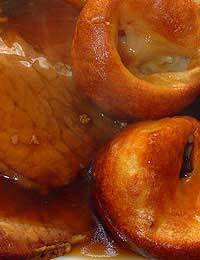 One favourite food of many children is the Sunday lunch and you can make some great Yorkshire puddings that don’t contain gluten. Preheat the oven to 230C or Gas 8 and sieve the two flours together into a large bowl, stirring in the salt. Make a well in the centre and break the eggs into it. Use a whisk or wooden spoon to beat the eggs into the flour by drawing the flour in from the sides. Begin to add the milk in a slow stream and when all the flour is whisked in, add the rest of the milk and the melted butter. Set aside for one hour – this is essential because there are no gluten bonds in the flours to make the mixture elastic so allowing it to become homogenous over time is vital. Grease a bun tin with olive oil and put it in the oven for five minutes to heat up. Then pour the batter halfway up each bun tin and bake for around twenty minutes. Many children hate to stand out, so find out if your little one wants a lunch box that looks as much like other people’s as possible – if so, you need to invest in gluten free bread. Not every child cares about this: some are happy to have different looking food and don’t enjoy the taste of gluten free bread, which can be a bit of an acquired taste. Dried fruit; fresh fruit; salads (check dressings for wheat by-products before adding); cheese wedges (check labelling carefully, not all are wheat free); cottage cheese; vegetable sticks with hummus or home-made salsa (check mayonnaise or shop salsa for wheat traces); plain popcorn. Just pop it at home and top with herbs, a sprinkle of brown sugar or a dash of maple syrup; gluten-free yogurts, rice and jellies; corn tortillas and chips; crisps and other potato snacks; rice cakes. For many kids, cheese and meat roll-ups are good fun and good nutrition – take a slice of meat such as luncheon meat or pre-packed ham, turkey or chicken and spread it with cream cheese, then sprinkle with herbs and roll up. You can use smooth peanut butter and some relishes in the same way to make a tasty alternative. You can also use processed cheese slices to make roll-ups. Make sure your child, his or her friends and the parents of those friends all know that food swapping isn’t possible, but that sometimes – if everybody agrees – your child may bring a special treat to share with everybody. This means that the gluten intolerant child doesn’t feel they are always left out and gives other kids a chance to try delicious gluten-free foods.